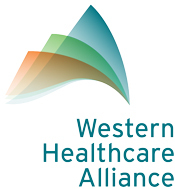 Happy holidays Western Healthcare Alliance members and friends! So what’s your holiday wish? As we near the end of another year, we start thinking of what we’d like the new year to bring. Normally we focus on what we’d like personally … lose weight, make more money, drink more water and less coffee (or is that just me? )… but what about for your work? What’s your wish for your healthcare organization? Are you wishing for help with recruitment? Are you needing assistance in preparing for payment reform? What about all those policies and procedures that could use some attention? And what about training and education for your staff? Let us know! You are a part of WHA – an innovative and collaborative organization and you never know how we might help make your wish come true! If we don’t have the immediate answer, we certainly know someone who does. 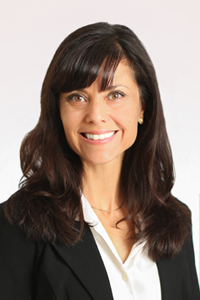 So send your “wish” for the New Year to Bobbie Orchard, Director of Marketing for WHA. And if you haven’t already, please register for the Western Healthcare Annual Summit February 27th and 28th in Grand Junction. 2019 will be WHA’s 30th anniversary and we can’t wait to kick it off with WHAAS where we will collaborate to innovate. If you are a rural facility then you must innovate every day. Come to WHAAS and leave with innovative solutions from your fellow members and corporate partners. It’s going to be different this year and you want to be there, believe me. P.S. Don't forget the WHA and HCM offices will be closed for the holidays on Tuesday, December 25th and Tuesday, January 1st. Registration is open for WHAAS 2019! Learn more and register today!